Variable clouds and becoming windy with thunderstorms, possibly severe this afternoon. Damaging winds, large hail and possibly a tornado with some storms. High 77F. Winds SSE at 20 to 30 mph. Chance of rain 90%.. Scattered thunderstorms early, then partly cloudy after midnight. Low 52F. Winds WNW at 10 to 15 mph. Chance of rain 50%. More than a great meal! 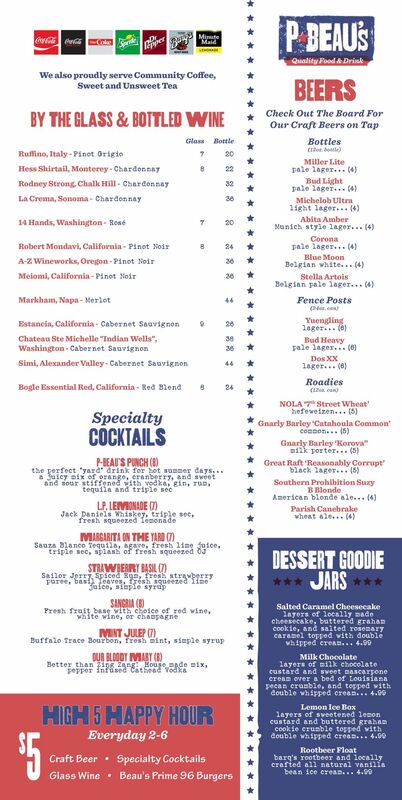 In addition to quality food and drink, we feature outstanding hospitality and a unique open atmosphere. 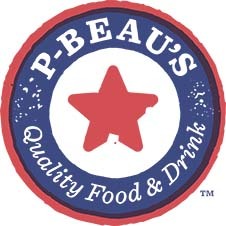 P-Beau’s is the ideal place to grab lunch with a colleague, dinner with the family, a beer and game of ping-pong out on the yard, or a weekend brunch with friends. Think of our place as an extension of your home and office, where you can come and go with ease, host a meeting or a party, or simply relax and enjoy yourself…. You will be among friends and family! 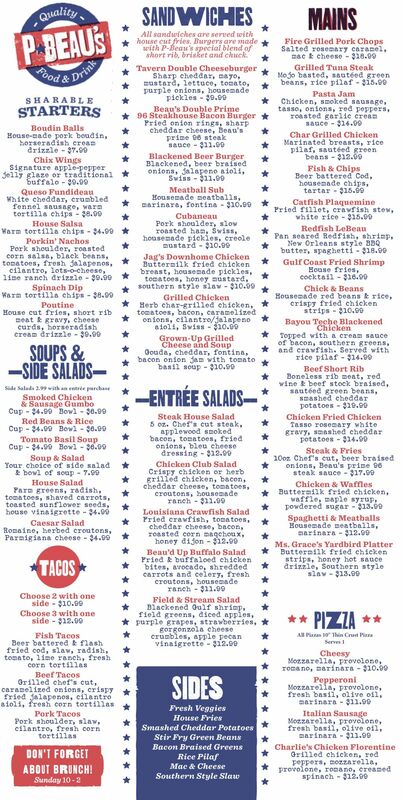 The menu offers Southern comfort food with unique diversity. We showcase some of the proprietor's favorite dishes that he loves to cook, serve his guests, and eat.